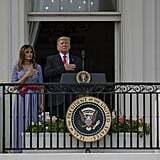 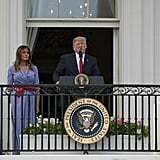 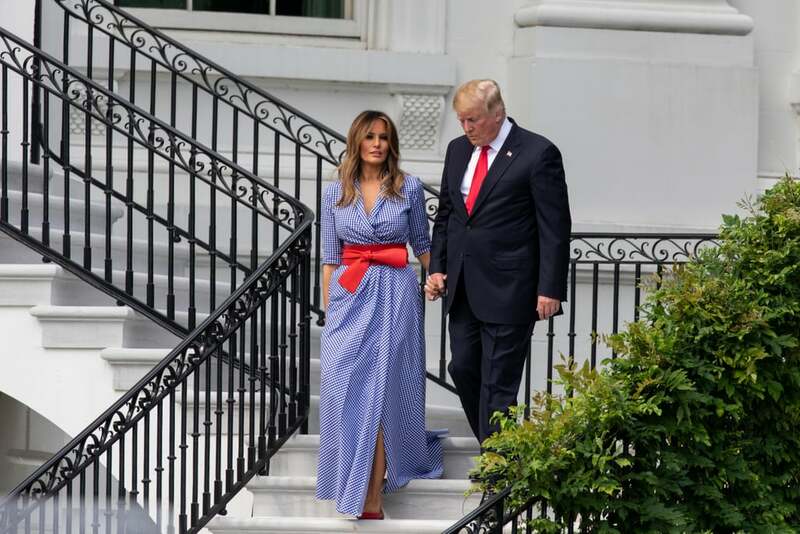 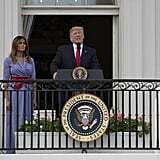 While most people wear denim shorts coupled with a tee or a fun romper, Melania Trump decided to wear a full on gown for the White House's annual Independence Day celebrations. 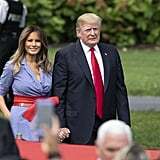 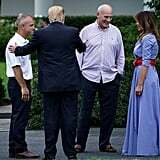 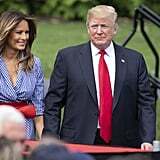 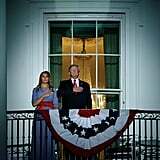 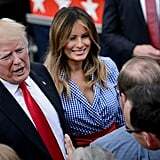 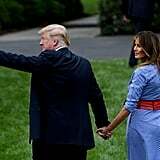 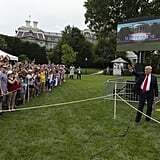 For the festivities, Melania upped her Fourth of July ensemble by rocking a blue gingham dress that was far from ordinary. 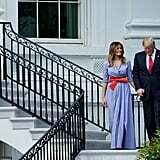 Melania wore a floor-length gingham gown by Ralph Lauren that costs a cool$2,790. 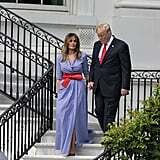 To complete her red, white, and blue-themed outfit, she completed her look with a scarlet obi belt by Alexander McQueen that cinched in her waist. 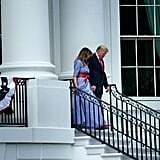 For another pop of red, Melania styled her gown with a pair of red flats by Christian Louboutin. 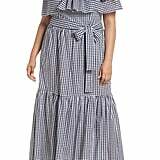 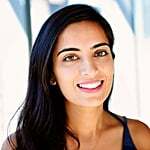 Keep reading to see all angles of Melania's gingham gown and buy the exact same style, as well as more affordable options, if you choose ahead.